Tommy Smith in action for Liverpool in 1970. He was a key part of the side when Bill Shankly led Liverpool to their first FA Cup triumph in 1965 and 12 years later, was on the scoresheet as they won their maiden European Cup by beating Borussia Monchengladbach. 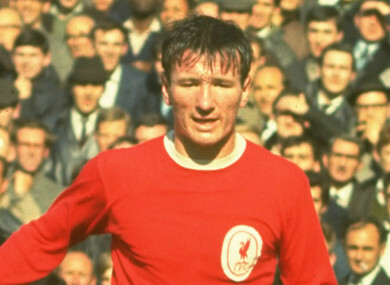 Email “Former Liverpool captain Tommy Smith dies aged 74”. Feedback on “Former Liverpool captain Tommy Smith dies aged 74”.